Sounds like an exciting week, Sister Caroline! I would be interested in emergent instructional technologies or project based learning using technology. Wish I could be there, have fun! Thanks Steve! 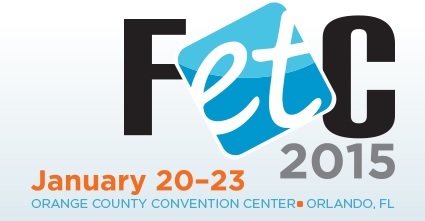 I will be listening carefully to topics that focus on emergent instructional technology or PBL! Watch in the future for a post that will focus on these topics separately so that I can give my full attention to them. The biggest concern I see is how people view education versus entertainment. One person’s entertainment is another person’s education. A Youtube video, say a TED Talk, may be both educational and entertaining. How is a catechist to build a lesson plan that directors and parents see as educational but the students see as entertaining? This is an age old question. When movies were first used in the classroom, were they educational or entertainment? When videos were first used in the classroom, were they educational or entertainment? Now with the various technology options we have today, is the integration of technology educational or entertainment? I believe that an excellent educator knows the value of both, and knows how to use the technology for both education and entertainment so that learning is possible! The teacher must be one who knows, understand, and uses whatever technology is available to enhance what they teach. This is true, however, DRE’s can be a bit stodgy and old-school. Parents can be a bit techno-phobic also. Is there some tools that a chatechist can use to win over skeptical folks?